iPadCaseFinder.com, a worldwide distributor of iPad cases, announces the immediate availability of cases that are compatible for the newest iPad from Apple. New iPad cases are being developed as we speak. We expect to have the latest cases that require exact fit measurements in 2-4 weeks. 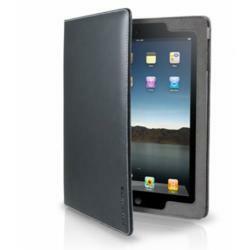 iPadCaseFinder.com, the leader in iPad case distribution, is pleased to announce the availability of cases for the new iPad from Apple. Earlier today Apple announced the latest edition of its iPad which features a retina display and A5X processor. The depth of the device is 9.4mm compared to 8.8mm from the previous iPad. This will not have an effect on the most popular cases that have been sold so far. "We're very excited as most Apple fans are, that the new iPad will be released on March 16th." Keith Schilling, owner of iPadCaseFinder, said. "A few of the manufacturers have already had their hands on prototypes and have been hard at work manufacturing cases for the new iPad." Some iPad cases require an exact fit for the device, while others such as iPad sleeves and portfolios do not. The small change in depth will not account for much difference, however they are expected to bring in a number of new cases from the top players. iPadCaseFinder.com has been selling cases since the 1st generation iPad hit the market. The original site hosted images of the latest cases for vistiors to peruse but later turned the site into an ecommerce megastore for all things iPad. "Its great to build relationships with customers that are as passionate about the latest iPad devices as you are," Keith Schilling stated, "it truly makes our job much more enjoyable."